We know that identifying benefits and resources, and locating appropriate services for a loved one can be overwhelming. As specialists in our field, we help seniors and their families navigate the complex terrain of elder care services by identifying needs, developing a plan and coordinating service providers. 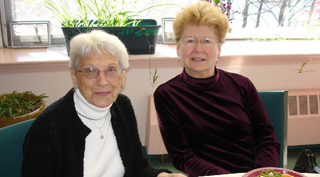 Find the right assisted-living situation based on an individual's needs. Navigation Services can help save time and money by cutting through the “red tape" and expertly guiding you through the sometimes confusing maze of available resources. We are committed to enhancing the quality of life for seniors by identifying and providing appropriate options that lead to informed choices. For more information call: 207-373-1140, ext. 224 or email info@voanne.org. Locating appropriate services for a loved one can be overwhelming. As specialists in our field, we help seniors and their families navigate the complex terrain of elder care services and resources.